CellGenix Recombinant Human FGF-2, also known as bFGF, reliable improves proliferation of mesenchymal stem cells (MSCs).  It in addition supports proliferation and differentiation of chondrocytes and supports propagation of undifferentiated pluripotent stem cells (PSCs). 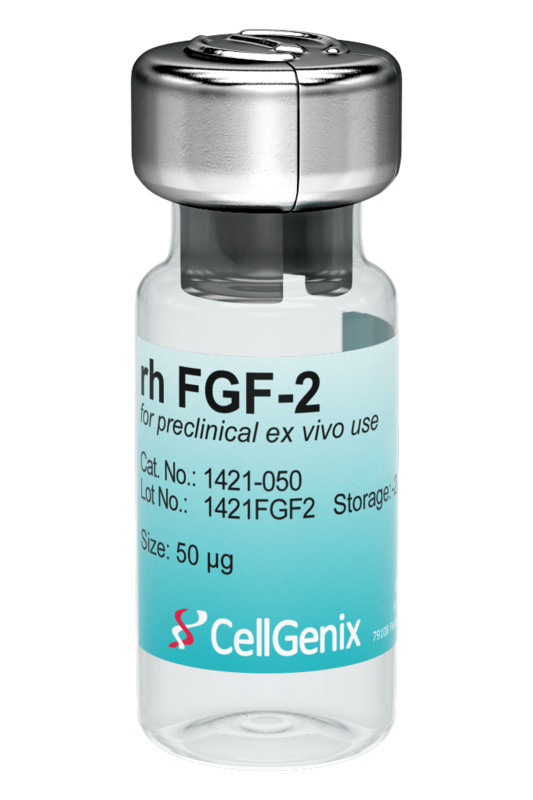 CellGenix rh FGF-2 is produced in our dedicated animal-free facility ensuring maximum safety for optimal use in ATMP manufacturing. 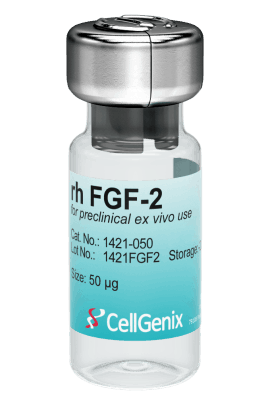 Fibroblast Growth Factor-2 (FGF-2) is a basic fibroblast growth factor. It amongst others plays an important role in wound healing and tumor development by mediating the formation of new blood vessels. FGF-2 is used in the cell and gene therapy space for the expansion of bone marrow and adipose tissue derived MSCs. 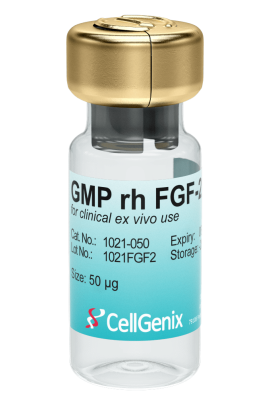 CellGenix GMP Recombinant Human FGF-2 is produced following all applicable GMP guidelines and allows for the safe use in accordance with USP Chapter <1043> and Ph. Eur. General Chapter 5.2.12. 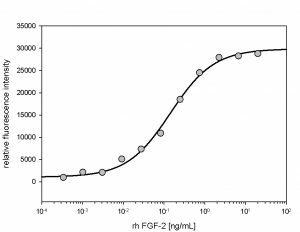 The activity of GMP rh FGF-2 was measured in a cell proliferation assay using the FGF-2-dependent cell line FBHE. 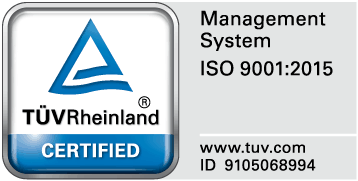 It was calibrated against NIBSC #90/712.